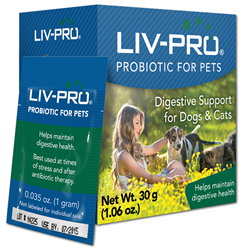 Liv-Pro Probiotics for Pets is a proprietary blend of pure probiotics with no fillers or additives. 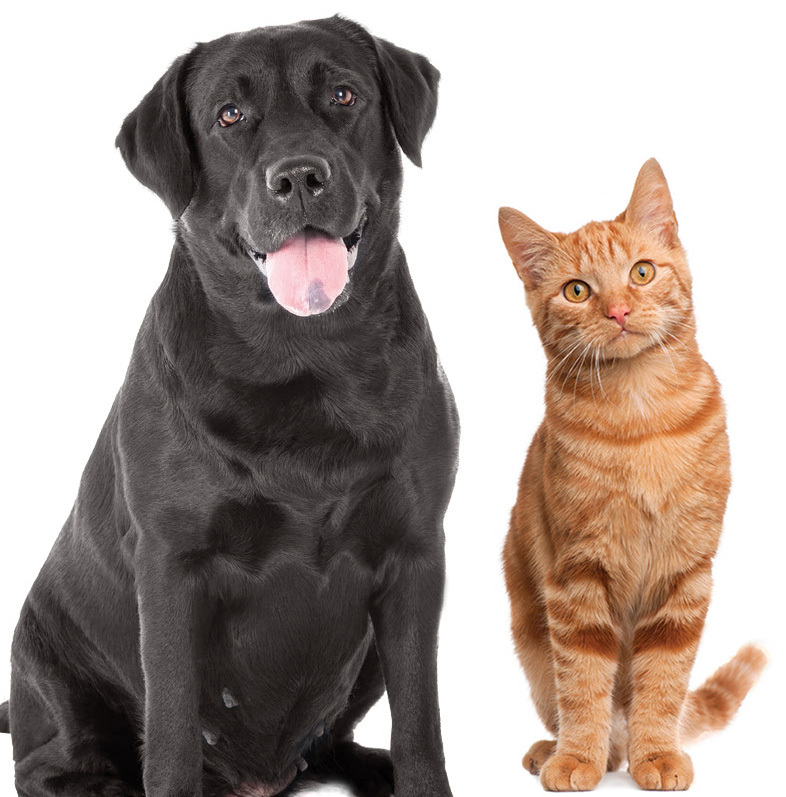 MLF Biotech, Inc. has developed a probiotic supplement for dogs and cats. Liv-Pro® Probiotics for Pets helps maintain digestive health and can assist in bringing natural balance back to a pet's intestinal flora after it experiences a period of stress, dietary changes or antibiotic treatment. Liv-Pro Probiotics for Pets is a proprietary blend of pure probiotics with no fillers or additives. It contains seven live active bacteria strains that are safe and effective for both cats and dogs: Lactobacillus acidophilus, Lactobacillus casei, Lactobacillus reuteri, Lactobacillus bulgaricus, Bifidobacterium bifidum, Bifidobacterium animalis, and Bifidobacterium infantis. The probiotic supplement is available in powder form packaged in convenient one-gram packets, 30 per box. It is administered by opening a pouch and sprinkling it over a pet’s food or water. Liv-Pro Probiotics for Pets can be used every day to enhance immune system function or when a pet has been under stress or treated with antibiotics, which may reduce the beneficial bacteria in the gut. The probiotics will help replenish the good bacteria and get the gut functioning properly again. For more information about Liv-Pro Probiotics for Pets, visit http://www.liv-propets.com. MLF Biotech, Inc. provides innovative natural products to improve animal and human health, and offers ingredient and finished product laboratory testing services to the food and animal health industries. For more information, visit http://www.mlfbiotech.com.